In today's fast-paced, high technology world our bodies are increasingly forced to interact and adapt to an environment that is becoming ever more chaotic, toxic, and stressful. At the same time every day more and more of us seek new ways to realise our highest potential - whether it be the experience of total health and longevity, enhanced personal energy, or the exceptional athletic or work performance that results from body/mind integration. 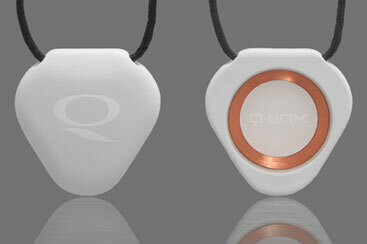 The Q-Link's copper induction coil antenna is charged by your own personal energy field - activating advanced bio-resonance functions to strengthen, tune-up and enhance your bio-energy field (chi, prana). 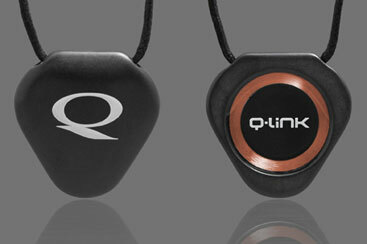 The Q Link works like a bionic tuning fork to help naturally fortify your primary energy field against the constant assault of EMF, toxic chemicals, and polluted air. "I have tested the Q Link's effectiveness utilising Applied Kinesiology (AK) with many patients against computer screens, my X-ray generator, power lines, cellular telephones and television sets. It has not failed to negate weaknesses created by these evoked environmental stressors. I've never seen these excellent results with a product before." Sortlifeout.co.uk - Online Holistic Health Store! follow instructions to pay our merchant bank directly using protx as the secure transaction form processor.